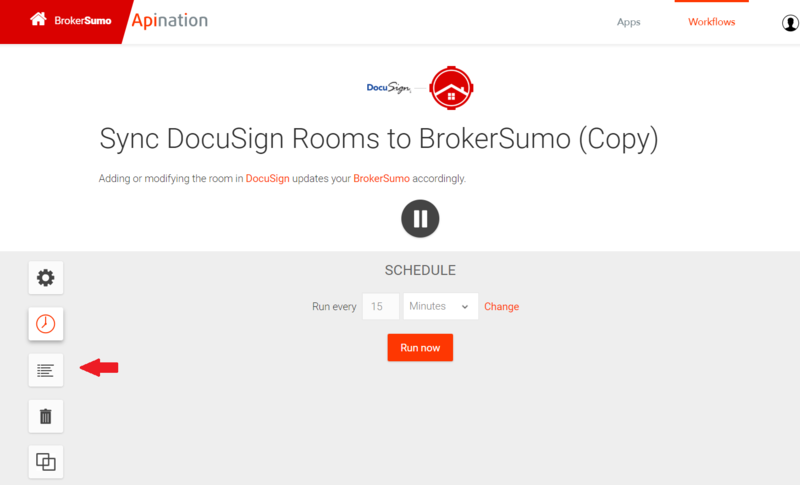 You will be taken to the DocuSign Transaction Room page to enter your credentials to authenticate with BrokerSumo. Once you enter your credentials you will be walked through the next steps and taken back to the setup page on the workflows page. If you need to sync immediately you can to the clock icon within the workflow to run manually. Click on the active workflow to open it. Once open click on the clock icon and you can click run now to sync immediately. 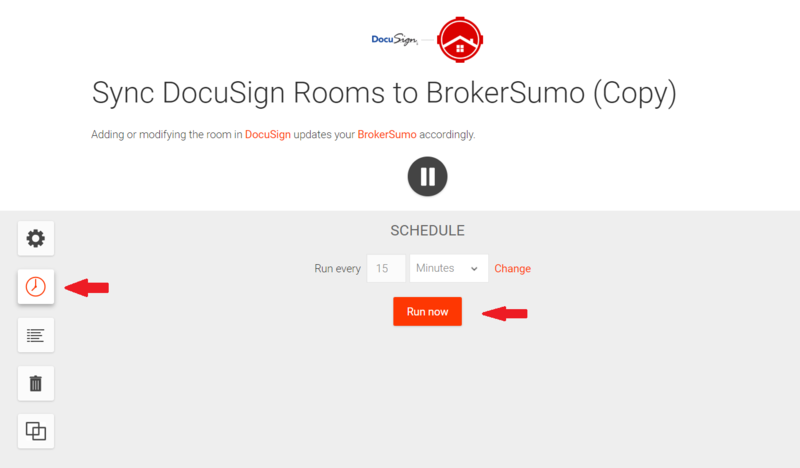 In your DocuSign Transaction Room account when you edit or save a new transaction or an existing transaction that will initiate the sync and the information will sync over to BrokerSumo within 15 minutes. Type the person's name who you want to add and click Add. 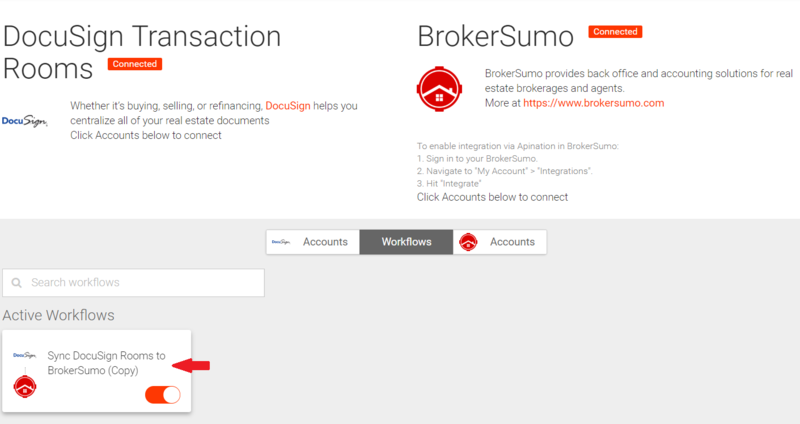 Then select the Side of the transaction they are on, and select Real Estate Agent as their role. Click Add and they've been added. 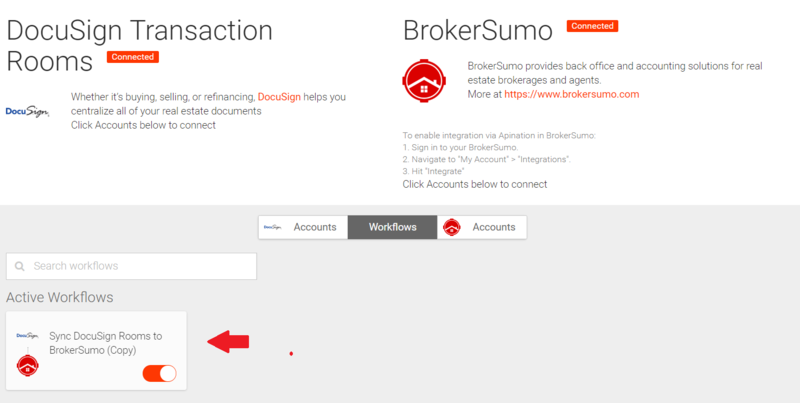 In the log you will be able to see the sync date, close date, address, the DTR ID and the status. If it the transaction has synced for the first time it will say initial sync. If the transaction was updated it will say updated. 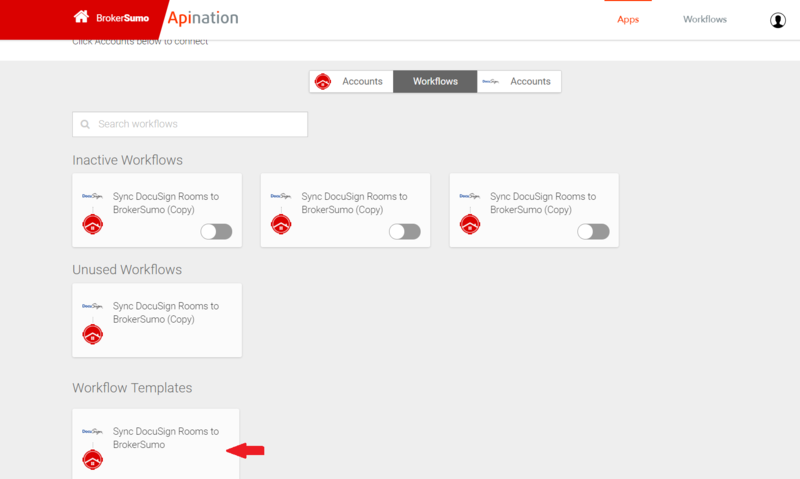 If it is missing required information to sync that information will be listed. 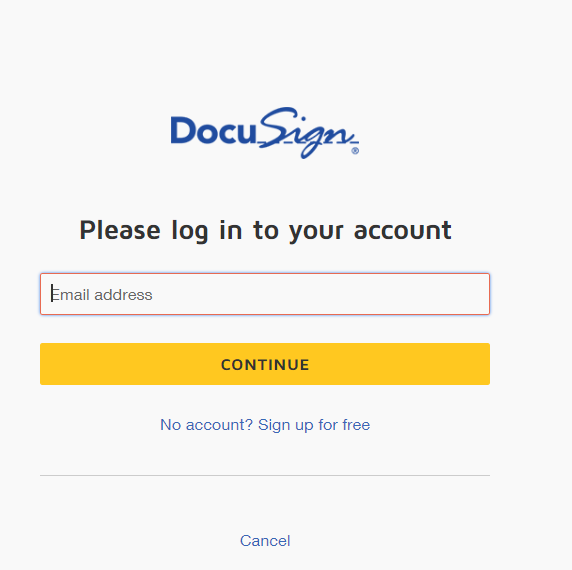 The eye icon has the raw data synced in from DocuSign Transaction Room. 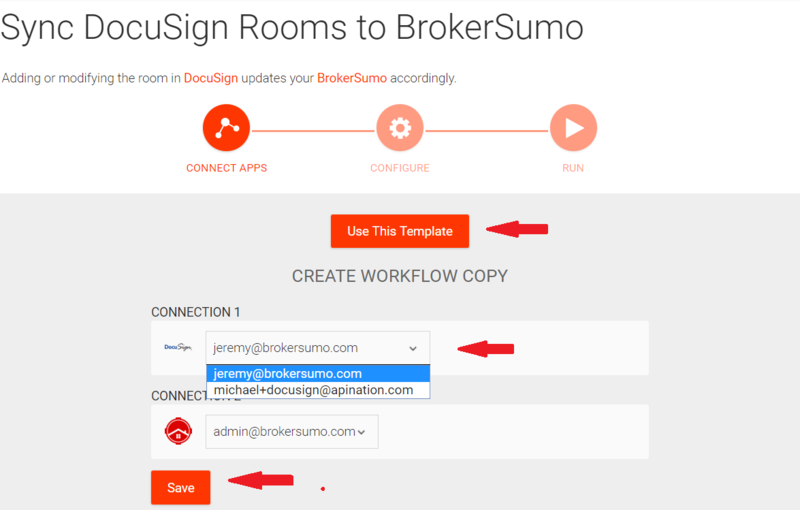 There are required fields to be filled out in DocuSign Transaction Room to be able to sync into BrokerSumo. You need to have a transaction type, a contract price, commission rate, property address and the agent assigned to the transaction. 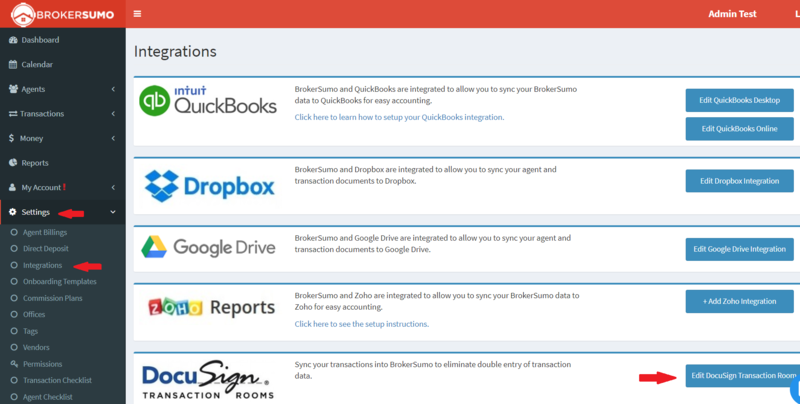 If any of this information is missing the transaction will not sync over.